only a couple of weeks of functioning irrigation before the line slips. Professionals have looked at the setup and cringed. I finally had a plan, the fifth or sixth that I was sure would work, and my four-year-old wedged my hopes between those two pieces of PVC. 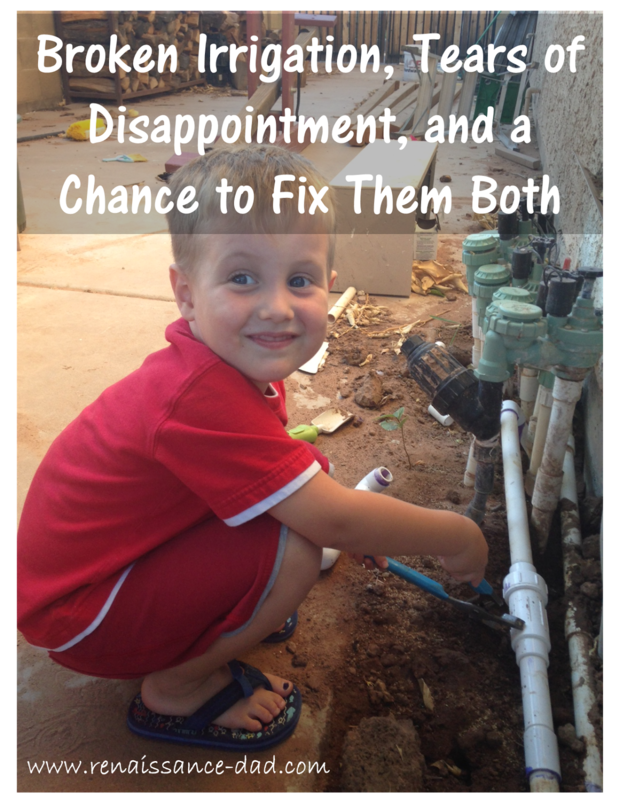 But as I was in the garage pulling the pieces apart, I realized that my son didn’t set out to sabotage my repair. He was using his developing engineering skills to put two similar looking objects together the way that made sense to him. He wasn’t trying to stop me; he wanted to help me. So I did the unthinkable. Throwing his bedtime routine into the wind, I asked little E if he wanted to help daddy fix the irrigation. So the two of us went out. He helped me dig and cut the PVC. I showed him how to fit the pieces together and then clean, prime, and glue the pieces. In 20 minutes, we had our repair drying, waiting to see how we did. But more importantly, we had some great time together, and my son learned a thing or two about PVC repair. 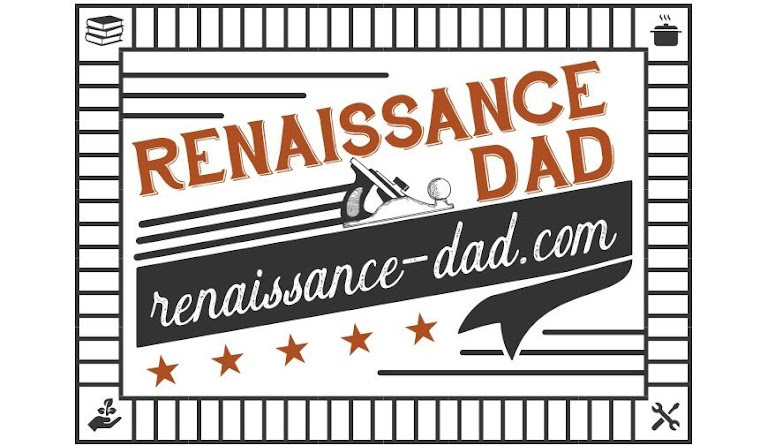 Being a Renaissance Dad isn’t about getting things right every time. It’s not about never losing my cool. And it is certainly not about getting every repair right the first time. Or second time. Or third time. It’s about recognizing mistakes, apologizing, and trying again. And again. And again. It’s about not giving up, even when others are cringing. 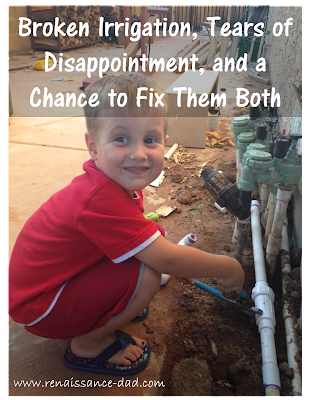 By the way, the plumbing repair was a success, and you should have seen little E’s smile when I told him that we got it right! This post reminded me of a time [mid 60's] when my dad was working on cutting a window opening out of a piece of laminate-type material. The window was not centered so the placement of the cut was important. My brothers and sister were watching, talking and joking with each other. As my dad picked the piece up and put it up to the wall, he found that he had did the cut on the wrong side of the piece rendering the piece of laminate useless. He was really mad at us: telling us he now had to go spend another $8 on a new piece and stormed out the door. I felt really bad so I went into my bank and pulled out $3 [all the money I had]. My sister did the same when she saw me do it. My dad came back with the new piece. I gave the money to my dad and my sister and I apologized for distracting him. We then went into our room to leave him alone to do the work.